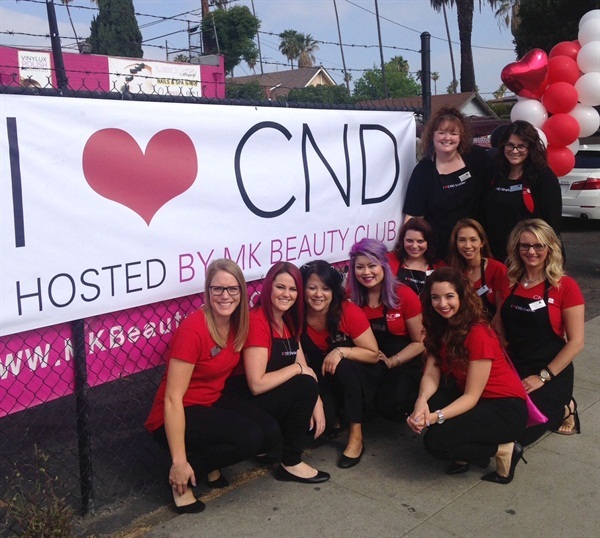 On Sunday, May 3, CND hosted its fifth “I Heart CND” event for local nail professionals at MK Beauty Club in Los Angeles. 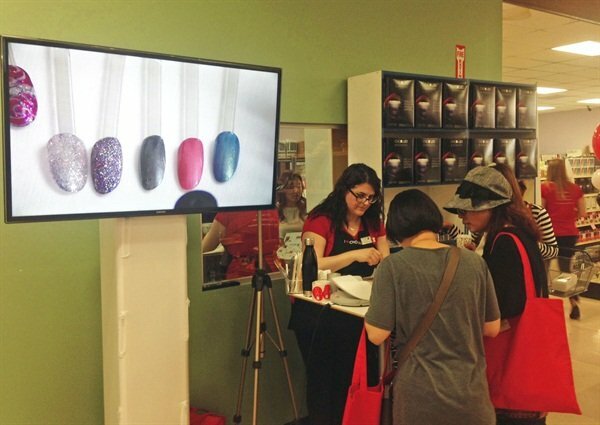 Featuring summer 2015 trends and nail styles, this high-energy event transported attendees through the “CND Art Walk” with interactive stations and product demonstrations that brought CND’s systems and artistry to life. 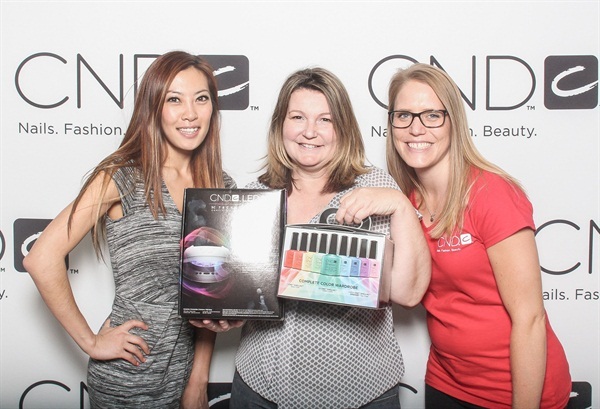 While shopping for CND products, guests had access to exclusive promotional offers and generous raffle prizes, including the new CND Shellac brand Xpress Top Coat and CND LED Lamp, which launched on May 1. At various stations throughout the store, CND Education Ambassadors demonstrated wearable seasonal nail styles using Shellac 14+ Day Nail Color and Vinylux Weekly Polish colors from the Summer 2015 Garden Muse collection, as well as Brisa Gel and Retention+ liquid and powder systems. Attendees received information on upcoming classes in their area, including Shellac Brand Pro Certification, and dressed up to snap a few shots in the Smilebooth before heading off with a complimentary gift bag. CND hosted its first-ever “I Heart CND” event at Nail Supply House in San Gabriel, Calif., and has since brought the initiative to Houston, Washington, D.C., and Orlando, Fla.